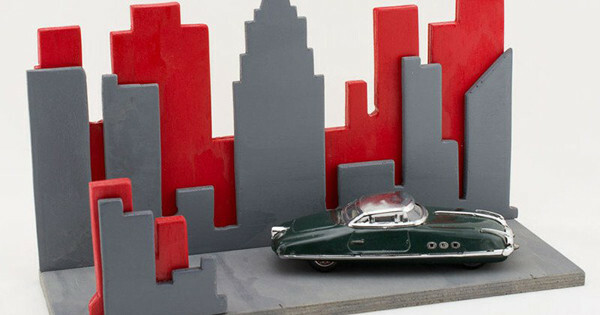 Sometimes playing with decorative things is irresistible, especially when those things are the Skyline Shelves which are begging for superheroes to go leaping across buildings, or for cars to block the street in an epic traffic jam. 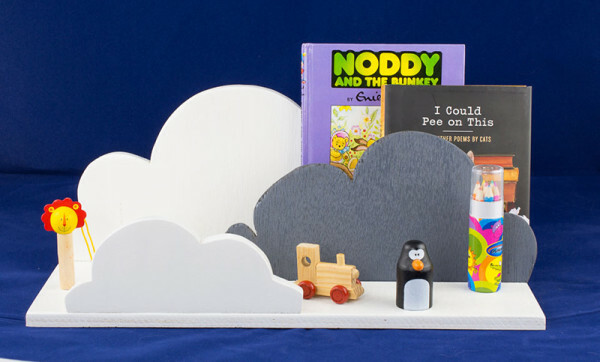 For something with more of a dreamlike quality, the Cloud Shelves ($50) are just the kind of whimsical thing you might see on an impossibly hip nursery on an interior design site. Hand painted and easily fixed to the wall with a keyhole backing, these shelves make a playful addition to the nursery, and kids will have fun rotating out the items on display. Today it might be robot invaders in the clouds, tomorrow it might be a princess parade on the streets of New York City. Skyline and Cloud Shelves can be found at Bespoke Art Framing, and shipping is $25.